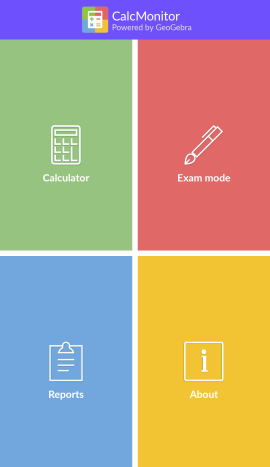 A scientific graphing calculator for smartphones and tablets suitable for the classroom. 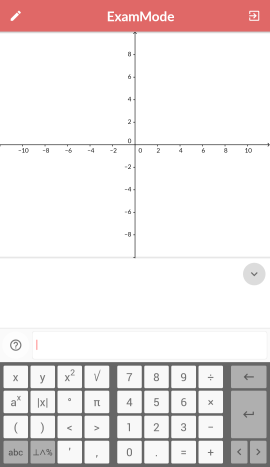 CalcMonitor™ is a full-featured graphing calculator app based on the cutting-edge GeoGebra. Instead of buying an expensive handheld calculator, you can get all the functionality of a scientific calculator on any Android device. Would you like your students to be able to use a calculator app but are concerned that smartphones in the classroom means web browsing, games, and messaging? 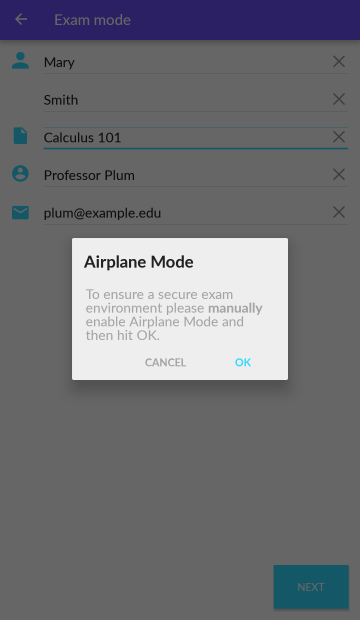 CalcMonitor™ offers a secure exam mode, where the device is monitored to prevent use of other apps and where network access is disabled (so-called “airplane mode”). 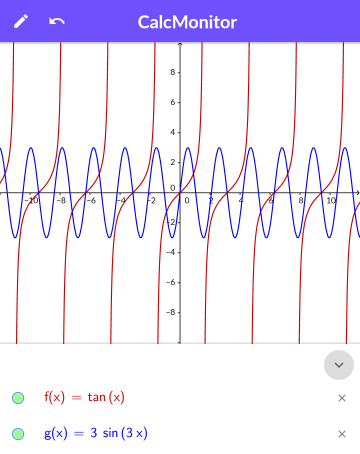 CalcMonitor™ can be used as a standalone graphing calculator at any time. However, it can optionally be put into exam mode, where networking must be turned off and the device must not leave the CalcMonitor™ app. 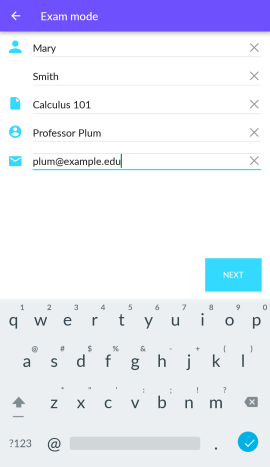 The student will then be prompted to enter information about the instructor or exam proctor, who will later be sent verification that the device remained in exam mode. The e-mail will be used for reporting. The red top indicates exam mode. All use of exam mode for a particular proctor is compiled into a spreadsheet after a couple of hours and e-mailed. The spreadsheet includes information such as the student's name, the class, and the times exam mode was entered and exited. To prevent unwanted deliveries, proctors must verify their e-mail address with us before any spreadsheets will be sent. Verification is quick and easy!